Home → Blog → Feeding Time. Feeding Time. 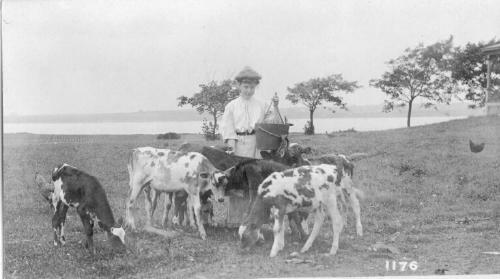 The young girl with her bucket probably is taking feed to the calves. Notice the hens nearby so the bucket may contain grain which has attracted them also.